The 32-year-old man suspected of detonating a bomb in Norway's capital and going on a shooting spree in police garb, killing at least 87, was many things: He was a self-identified conservative Christian, farmer, body builder, hunter, freemason and gamer. 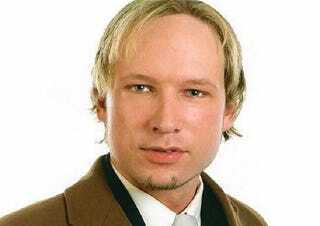 Listed among a slew of personal interests, favorite books, sports teams and philosophies on Anders Behring Breivik's (now removed) Facebook page was an interest in eSports, Call of Duty: Modern Warfare 2 and World of Warcraft. On the European World of Warcraft forums, players came together to discuss the shooting and try to make sense of Breivik's alleged involvement. Among the group is at least two who say they believe they knew the man and said he was down-to-earth and friendly. In World of Warcraft, it appears that Breivik played as two characters: A high-level human mage and a low-level "Forsaken" mage, both under the alias "Conservatism". "This is just not happening," a player who goes by the name Piltavla wrote. "This guy Anders been a great great friend of me, for three to four years now..."
He went on to say he recognized the suspect's picture on a Swedish news site. "People can hide their dark sides..." wrote Piltavla. "You had this image of him never being able to harm a fly... he was a very calm and down to earth person," he wrote. "I spent many nights speaking with him... It's unbelievable that he's done this. I feel sick that I ever knew him (to be honest)!" "You had this image of him never being able to harm a fly... he was a very calm and down to earth person." Another player also described the suspect as an "overall nice guy." "The person (the suspect), playing on Silvermoon, was a nice guy," Braxynglet wrote. "Nothing he's done in this game or with people from this game can explain what was done yesterday." Players in the guild that Breivik is thought to have played in say that he hadn't been online, playing the game or posting on the forums, for nearly half a year. They added that some people had started harassing other guildmembers. A majority of players talking on the forums had no connection with the suspect, but instead used the online gathering place as a way to talk through the tragedy and deal with the loss of life. "I am deeply sorry for anyone hurt or killed in any attacks and any person who would openly end another person's life for enjoyment/religious means is no longer human," one player wrote. "I have two friends in Norway one that lives in Olso I hope they are both OK and they are not hurt my deepest thoughts for the people of Norway." The accused shooter in yesterday's massacre in Norway has been linked to 1,500 page manifesto that recommends using Call of Duty to train combat skills for an upcoming war with Islam.